and helped to make them incredible events." which they kindly did! 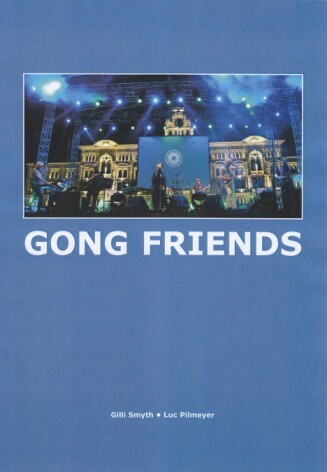 Thanks to the all the members of GONG." "on a reçu les bouquins, ils sont super!" "Just got it this morning! Thank you so much - I've had a quick look - there's some great pictures in there..."
"It is just fantastic i put my headphones on and listened to Gong while flicking through the book it was brilliant"
"C'est tout à fait cela un Gong Gig intemporel"
"Superbes les photos, celles de Trieste en jettent ! Bravo; franchement les photos sont classes"